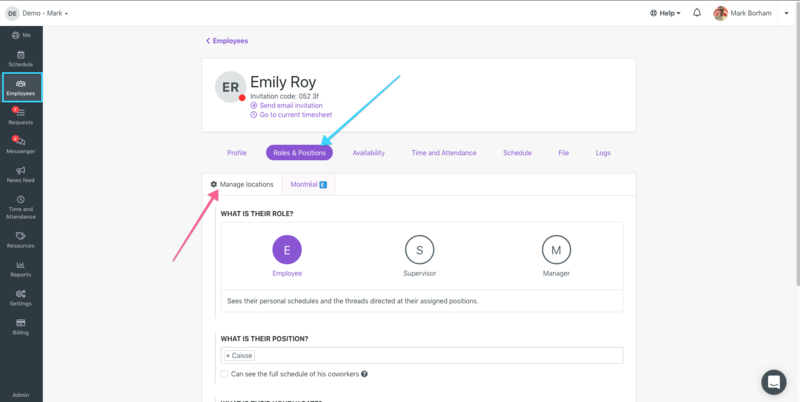 Share employees between locations. Add and Manage employee locations. Agendrix gives you the opportunity to segment your account with locations and the possiblity to share employees between them. More about it in this article. A location can represent a different site, but also a different department in the case of larger organizations. When you add an employee in a new location, you will have to assign him a role and positions. They can be different by location. See this article for more about Agendrix roles.